Please welcome my special guest today, Shirley Melis. I'm just one stop along a virtual book tour she's having. We’re chatting about her memoir about finding the courage and strength to love again, Banged-Up Heart. Welcome, Shirley. Please tell us about your current release. My book is a memoir. It’s a slice of my life, a significant slice. I’d been widowed nearly two years when I met a rocket scientist who swept me up into a whirlwind courtship. Falling deeply in love, we married and started traveling the world, sharing and realizing dreams of photography (his) and writing (mine) – Little more than a year later, we were fighting for his life against a rare cancer that he’d staved off for 18 years. I felt I was on a roller coaster ride unlike any I’d ever experienced. When it ended, I had to face the questions of if and how I would live. I felt blindsided. I had to figure out what had happened to me. So often, writing helps me see more clearly. At first, I just wanted to relive my wonderful relationship with John. But once I got started, I became wiser, I think – more curious, more demanding. I was curious about John and his behavior toward me. Had he intentionally kept the severity of his illness a secret from me? I was determined to face the questions I had never asked him. In the end, celebrating the relationship was not nearly so important as getting as close to the truth as I could. Like a budding rose, my heart had slowly opened until I found myself capable of loving again. By loving John as I did, I was able to step away from the grief that had run through me like a raging river, its currents swift and unstoppable. Granted, I did not know John fully, but give time, I would. Given time, I would come to know his shadow, and I would love that darkness in him too. I harbored no doubts. My unspoken vow: I love you past all accident. I love you forever. I have another memoir percolating. I was in the 8th grade when I wrote a piece that was printed in our class newsletter, and I felt good about it. But it was only after I graduated from college and landed a job as a newspaper columnist (traveling abroad) that I considered myself a writer. I consider myself a full-time writer, although my work days vary because I make time to read, practice the piano and exercise, and I’m active in local government. I also travel extensively. When at home, I usually write in the afternoons. My habit when traveling is to keep a journal, although my recordings are not always consistent. I use up a lot of yellow lined tablets, especially when I’m expressing deeply emotional thoughts and feelings. And I have to have the right ballpoint pen. I’m partial to freebies I pick up at the bank from time to time. I wanted to be Esther Williams and swim the English Channel. I’m crazy about elephants and I love cats, all kinds. Thanks for being here today, Shirley. Michelle DelPonte shares her review of Shirley Melis's Banged Up Heart today at Bring on Lemons. Don't miss this exciting blog stop and book giveaway. 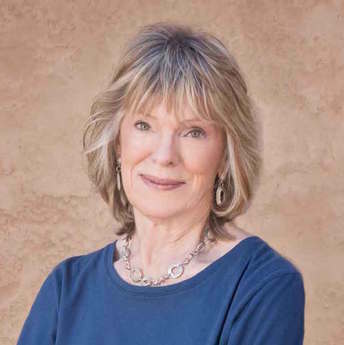 Fellow memoir writer Madeline Sharples interviews Shirley Melis about her book Banged Up Heart. Don't miss this heart felt interview about courage and love. Coach and Author Jerry Waxler shares his thoughts after reading Shirley Melis's memoir Banged Up Heart. Crystal J. Casavant-Otto shares her review after reading the touching and inspiring memoir Banged Up Heart by Shirley Melis. Teacher Deb Blanchard gives insight into Banged Up Heart the touching memoir by Shirley Melis. Angela Williams reviews Shirley Melis's Banged Up Heart. Don't miss today's interview between memoirist Linda Appleman Sahpiro and Shirley Melis. Find out more about Melis and her memoir Banged Up Heart. MC Simon reviews Banged Up Heart by Shirley Melis for readers at Writers Pay it Forward. Don't miss this honest review of this courageous memoir. Kathleen Pooler shares her thoughts with readers of Memoir Writer's Journey - find out what Pooler has to say about Shirley Melis's memoir Banged Up Heart. Educator and Entrepreneur Cathy Hansen reads and reviews Banged Up Heart by Shirley Melis. You'll want to stop by Bring On Lemons today for your chance to learn more about this touching and encouraging memoir. Cindi Ashbeck shares her thoughts after reading the touching story Banged Up Heart by Shirley Melis. 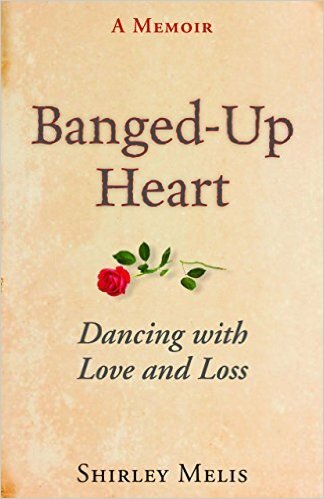 Wisconsin business owner and avid reader Penny Harrison shares her thoughts and feelings about Shirley Melis's memoir Banged Up Heart. Avid reader and book enthusiast Tange Dudet shares her thoughts and feelings after reading the touching memoir Banged Up Heart by Shirley Melis. Author and radio personality David W Berner reviews Shirley Melis's book Banged Up Heart and shares his thoughts with readers at The Constant Story.